Happy Friday to all our followers and readers! How has your week been? If you’ve been following our posts, be sure to let us know which one intrigued you the most! 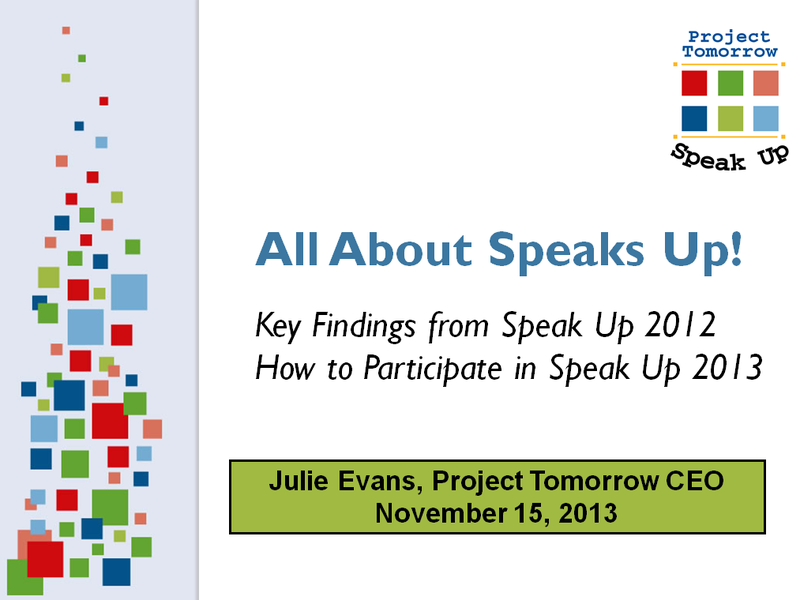 …And while you are voting for Julie’s panel, you might as well register for Speak Up 2013, right? All the information can be found here. Exciting events are on the horizon at Project Tomorrow, as our brand new website will be launching very soon! We will be sure to blog about all the new features as soon it arrives…keep checking back! For Fun-Fact Friday, read up on DoSomething.org’s feature on 11 Facts About Education in America here. Did anything shock or surprise you? Be sure to let us know in the comments below. We’ve also provided you a few quotes about education to inspire your weekend! This entry was posted in Speak Up and tagged education, fun fact friday, Julie Evans, K-12, Speak Up, Speak Up 2013, SXSWedu on August 23, 2013 by Project Tomorrow.